So, what is the new functionality about? 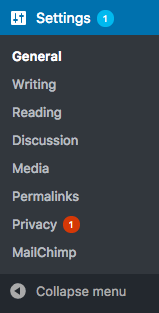 First of all a new Privacy submenu item appeared in the Settings menu. 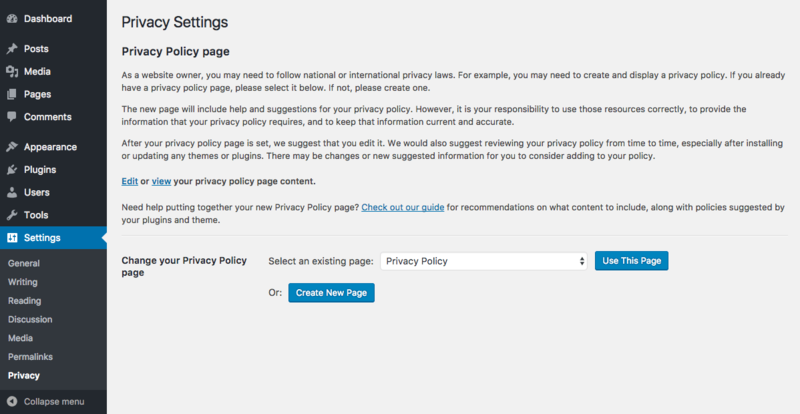 You can create or select any existing privacy page and after that its ID will be available in options, get_option( 'wp_page_for_privacy_policy' ). 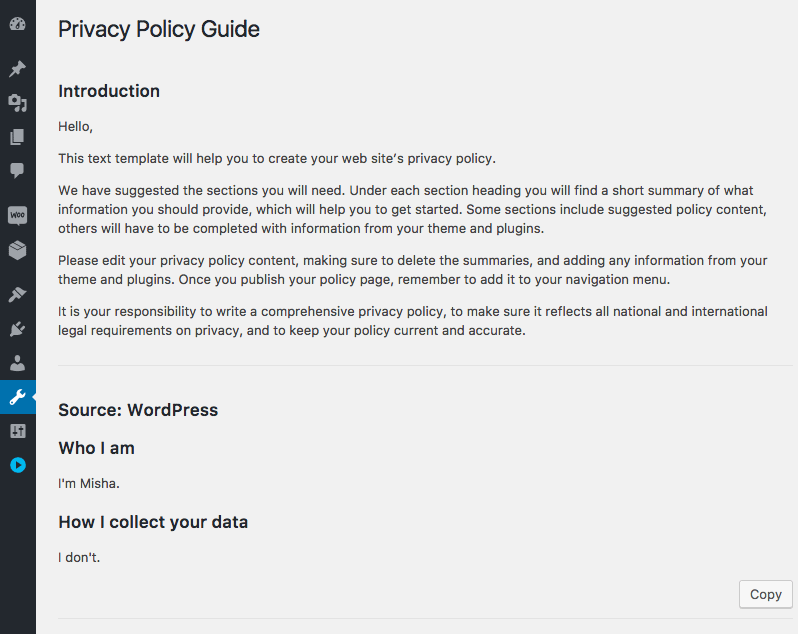 WordPress has a lot of default content in this admin section. But sometimes you may want to customize it to meet your custom theme needs. Here is what we got after inserting the above code in… let’s say functions.php of your theme. And yes, no way to change the Introduction. 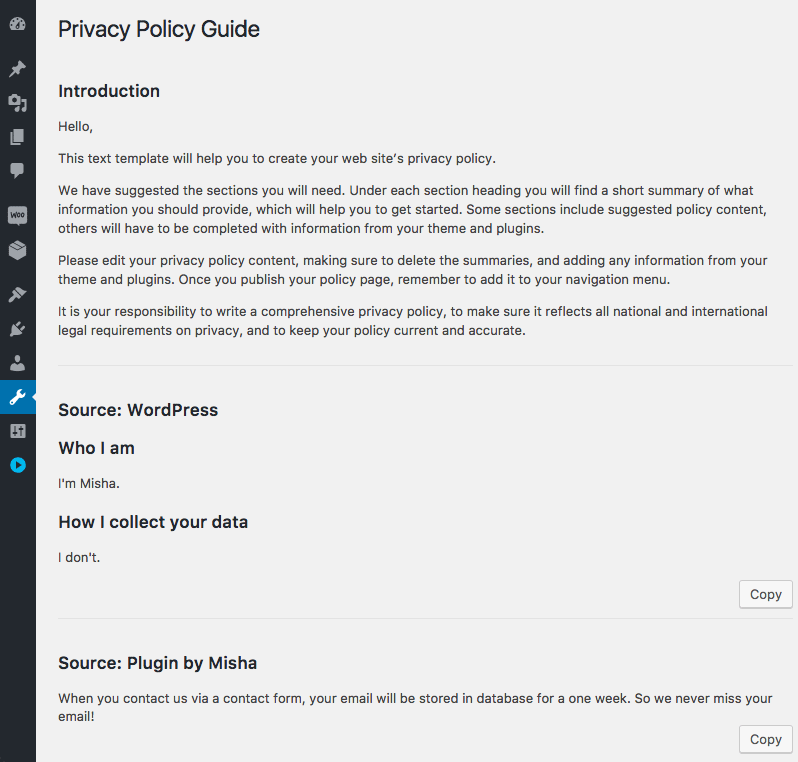 As I already mentioned before, wp_add_privacy_policy_content() function can help you with it. Note, that you have to run it within admin_init action hook and do not forget to make it compatible with WordPress 4.9.5 and lower. So, once you added it, you could notice, that a notification bubble has been appeared near the Settings Menu. Go to Settings > Privacy and click "Check out our guide" link. I wrap the text into wpautop() WP function just to auto-<p> it. And here is what we got. Please post some content about AJAX. Some of your followers are always waiting for Ajax. In past your work was fabulous. But what exactly? Have any ideas? Yes it will be Ajax Live Search for (Post, Page, CPT, & taxonomies). In past i worked on Search but unfortunately unable to get all 4 in one place. I do not plan to publish a tutorial about AJAX search, could you suggest anything else? Load (HTML or Script) with buttons into div. Each button represents a separate meta box with its name. Ok, thank you for the suggestion! I read all your tutorials and you have done always Fabulous job. can you please create one demo for Ajax pagination for Default post and Custom post type. make sure i am not talking about load more. Ok, thank you for the idea.